The Samsung Galaxy S7 Edge is one of the best Android phones you can buy right now: with a solid build quality and very stylish looks, it is good on both the outside and the inside. Powered by the Snapdragon 820 system chip under the hood, the handset delivers fast benchmark-topping performance, and Samsung has also done some great work on the camera front with a new, 12-megapixel rear shooter that has a wide, f/1.7 lens and optical stabilization, all combining to give it low-light super powers. Knowing that you're holding all that goodness in your hands, you might want to protect the Galaxy S7 Edge against the dangers of the outside world. Heck, sometimes you might even want to protect it from your own clumsy, phone-dropping self. That's where cases come in: we've picked some of our favorite cases for the Galaxy S7 Edge to show you various options with different levels of protection for your S7 Edge. Check them out below. All in all, the Galaxy S7 Edge S View Cover is a stylish case that does not add too much bulk to the Galaxy S7 Edge. It also brings a very decent level of protection as the phone is protected from all sides, including the front, and you can safely slip it in the pocket and not worry if your keys are there and could scratch it. 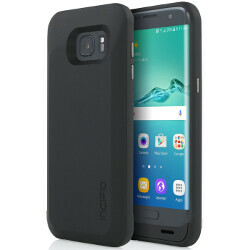 It will also protect the phone from drops, but it lacks the advanced protection that rubbery, more ruggedized cases provide, so it might not be enough if you are the type that often has their phone slip out of their pocket or just not very careful handling it. which can deal catastrophic damage to it. The S7 Edge S View Cover costs a hefty $50, which is definitely on the steep side. IF you want an official case with the peek window functionality, though, and want to know it will have an excellent fit and good, stylish finish, you should consider it. When looking for a thin case that won't completely ruin the looks of the Galaxy S7 Edge, you will stumble upon the Spigen Thin Fit. At $15, this is one of the most affordable cases out there and while it does not add a whole lot of protection, it will keep your phone scratch-free and mostly intact unless you really drop it afar or at some unfortunately angle or material. For all else, the Thin Fit is a good and affordable option. The Verus (stylized as VRS) Design series of cases offers a lot of options for the Galaxy S7 Edge, and all have a different focus: some are thin, some offer extra protection, and some - like the Damda Clip - allow you to easily stash your cards in the back of your phone, so you leave your wallet at home. If that's what you're looking for, the Damda Clip is a stylish option priced at $30. Otter Box is one of the best known case makers and its Symmetry line of cases offers excellent protection for your phone. It does add quite a bit of bulk to the Galaxy S7 Edge, but that's the price you pay if you want to have a peace of mind that your phone will survive various everyday apocaliptic scenarios. The Obliq Slim Meta for S7 Edge is a very good looking and not too thick case that features a brushed-metal like finish (it's in fact plastic). 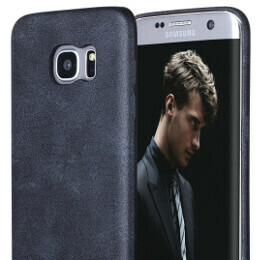 At just $15, this is one of the most affordable cases in this selection. We value its looks and level of protection: it's not a rugged case, but not a super thin affair either, so you have some protection for your phone. Our personal favorite, the Incipio Octane Pure case with its translucent finish and minimal footprint is the case that you want to have if you want to have the design and visual style of your S7 Edge seep through the case for the world to see. 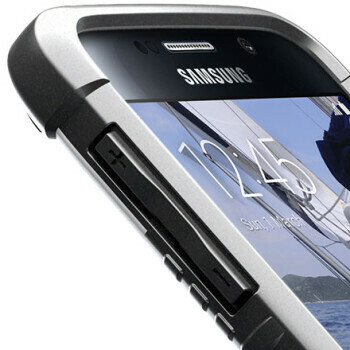 The case does not add too much bulk, while still protecting the prone to damage sides and the camera of the phone. The Griffin Survivor Clear is a similar affair to the Incipio Octane Pure we talked about before: it's the cheaper of the two, but is also well made and the fact that it's translucent and that you can see the color and beautiful reflective finish on the S7 Edge definitely gives it extra appeal. There is one material that is mostly overlooked in phones: wood and bamboo. Sure, there are some phones that offer such an option, but when it comes to mainstream phones, they are all metal and glass. 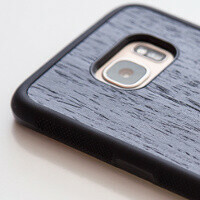 Luckily, there are some nice cases that deliver that stylish and good-looking wood/bamboo finish to your phone. The cases from British company Cover-up are a great option and not too expensive: they offer dark and light wood with different patterns and some engravings. Extra style points for that. The Case-Mate Tough Stand for the Galaxy S7 Edge is a slim, dual-layer design with a protective bumper that delivers medium level of protection. With an enhanced impact resistance and shock dispersion this case will protect your S7 Edge not just from scratches, but from drops as well. It also features an integrated stand for media viewing and nice metal button accents. 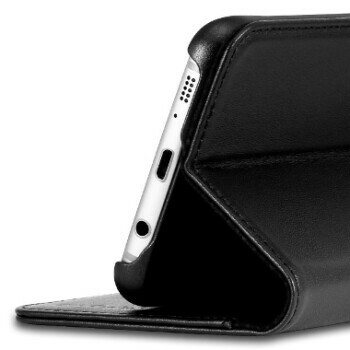 Are there any Smart Cover-like cases for the S7 like those found in iPads? I really don't wanna ignore the feel of the glass on the back, unless if you say the glass is slippery as hell. Um... Just a thought... It would have been helpful if links to each of the cases had been provided. Ballistic Jewel clear case should be on the list. Griffin Survivor Clear Galaxy S7 case is good. 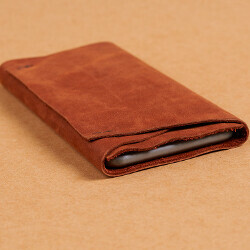 I got a kajsa vintage genuine leather case from goo.gl/5DkrSV. Feels good in the hand.